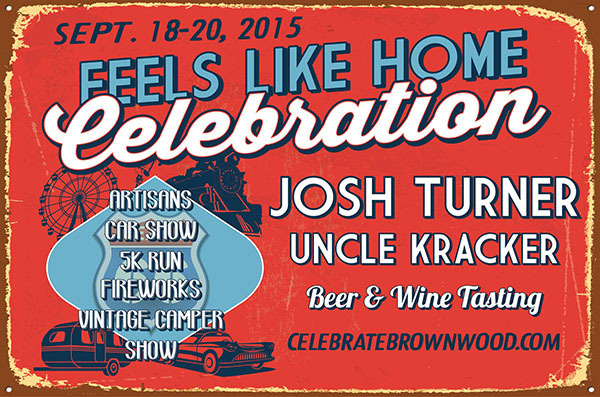 September 18-20, 2015 we will be celebrating our 15th Annual Celebrate Brownwood. It is sure to be a great weekend. Live music, carnival, fire works, great food, WWII Re-enactments, Vintage car show, Route 66 Display, Beer & Wine tasting. Oh my, just so much I can’t even begin to name it all off. Check out the website Celebrate Brownwood. If you are looking for a fun weekend, come enjoy it with us all. We always look forward to this fun event. This entry was posted in Local Events and tagged brownwood reunion, celebrate brownwood by admin. Bookmark the permalink.